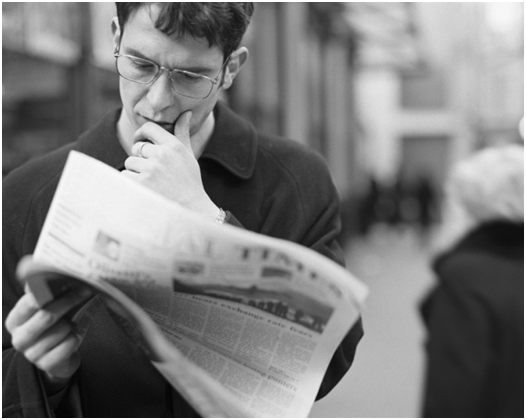 How to read a newspaper article to improve your English? Reading a newspaper is one of the most stressed upon activity by every English learning class. What is it about a newspaper that makes them an integral part of the English learning process? The newspaper is valued more because they provide content for daily conversations, increase knowledge about current affairs and a source for new reading materials daily. 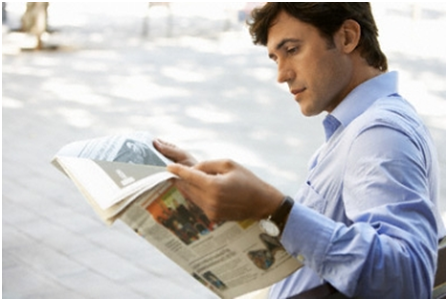 You can improve your English speaking skills to a great extent if you regularly read newspapers. Newspapers contain different sections catered to different audiences. They have special lifestyle sections as well. You can identify the sections that you love and would like to talk about. You may even read about crime news. This will help you to make choices and pick an area of your choice. It is important to read newspapers every day. You should strive to make it like a second habit to you. Regular reading will instill the discipline required while learning English. It will keep you focused and more motivated to keep learning the chosen language. Regular practice is one of the foundations and the best methods to learn English. Do not stick to one newspaper. Regularly change them at intervals. This will make you aware of different writing styles and tones. It will also make your English language vocabulary more dynamic. You can also find different brands of newspapers and pick one according to your style and preference. You can discuss the information and news gathered from newspapers with your friends, family, colleagues or classmates. This will help expand and improve on your English conversational skills immeasurably. You can even expand your network of friends. At meetings or parties, newspapers, news and articles are a good way to break ice and start communicating. You get a chance to make new friends and improve your social skills. English learning becomes more fun as you make new contacts. They will be of valuable help as you advance on your English learning journey. Try to understand the different situations under which the English vocabulary is used. This will make you understand the meaning of words without referring to the dictionary. At times, you may be hard pressed for words to frame sentences for various scenarios. Reading newspapers and understanding the context under which the report was made will help you to identify words to be used in certain situations. This will greatly improve your English speaking skills. Unlike novels and other books, newspapers are to be read in your mind. Reading newspapers quietly is part of etiquette. It will equip you with silent reading ability. It will increase your mind retention power as well. The above six ways will show you how to read a newspaper article properly without help. You can cultivate this habit and turn a daily activity into a useful tool for learning English. eAgeTutor.com is the premier online tutoring provider. eAge's world class faculty and ace communication experts from around the globe help you to improve in an all round manner. Assignments and tasks based on a well researched content developed by subject matter and industry experts can certainly fetch the most desired results for improving spoken English skills. Overcoming limitations is just a click of mouse away in this age of effective and advance communication technology. For further information on online English speaking course or to experience the wonders of virtual classroom fix a demonstration session with our online English tutor. Please visit www.eagetutor.com. 1. Why do We Need to Learn English? 2. Learning English through Music - Go the Lyrical Way! 3. How to Make English Learning a Fun Process? 4. How to Describe Your Family?